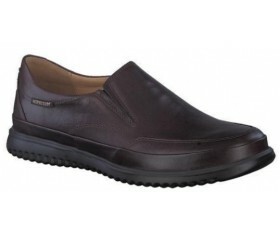 Men's Slip-on Shoes - Brown. 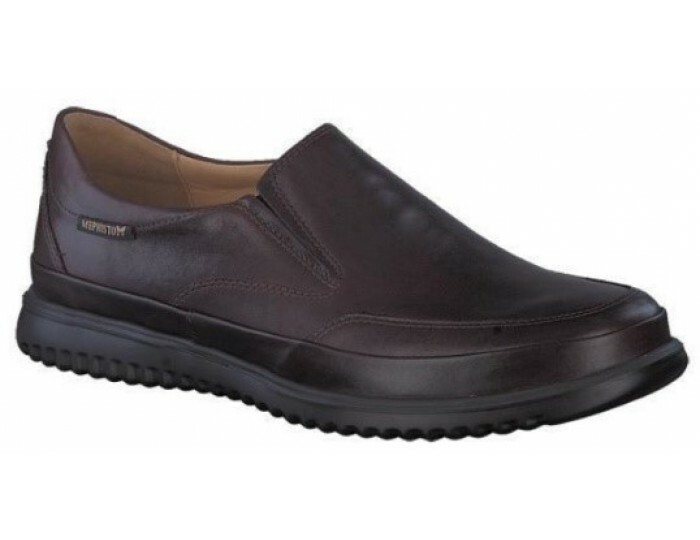 A modern, casual men’s slip-on, this comes with an extremely lightweight and supple sole that supports the natural rolling motion of the foot. Flexible straps on the sides of the tongue also help with putting the shoe on and taking it off. The SOFT-AIR midsole, flexible and soft, reduces the shock from walking to an absolute minimum. This protects your feet, joints and vertebrae, while maintaining proper hygiene. For a comfortable and effortless walk. Maximum heel protection is achieved by the SHOCK ABSORBER. The removable footbed can be replaced with your personal custom orthotics. The ultra light outsole combines extreme suppleness with incomparable lightness and gives excellent shock absorbancy. The assurance of a tireless walk. The leather lining caters for a healthy climate in the shoe.